Steven (Chicagoland, United States) on 11 March 2019 in Plant & Nature and Portfolio. C'est bien fait, très bien fait, je dirais même plus. A nice tangle of piquants that it is better to look at without touching. A good focus for a quite abstract picture ! WOW, Steven. This is new for me! Surprenant et très beau cet enchevêtrement. Magnificent detail and color Steven. very nice close up ! Oh I used to have another variety with darker golden red spikes back home. A thorny carpet here !! Quels pîquants blanc et ces formes et ce vert sueprbe vue. The web is Gorgeous very good details on this photo from the plant and its spines. Don't grab a big hand full of those! 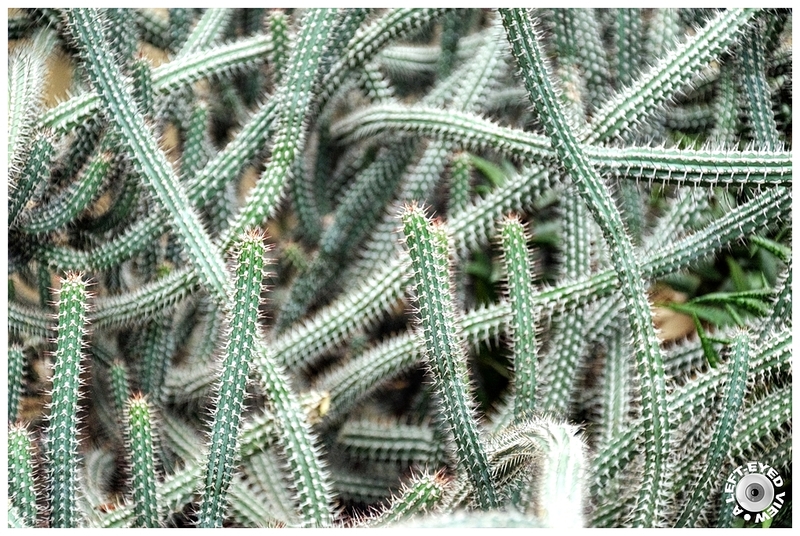 ;-) An excellent image of these spiny stems. They look great, but I wouldn't want to fall into it. A beautiful plant! I love how it grows in so many directions. I would not want to accidentally sit in it! Superb details well framed ! It's a vegetable detail, but it almost looks like an animal, like those caterpillars with many legs. Ce cactus fait penser à un nid de chenilles ! These are always fascinating, aren't they? !